Having recently traveled to New Zealand, myMEGusta is often asked: What’s the best recipe for greenshell mussels? 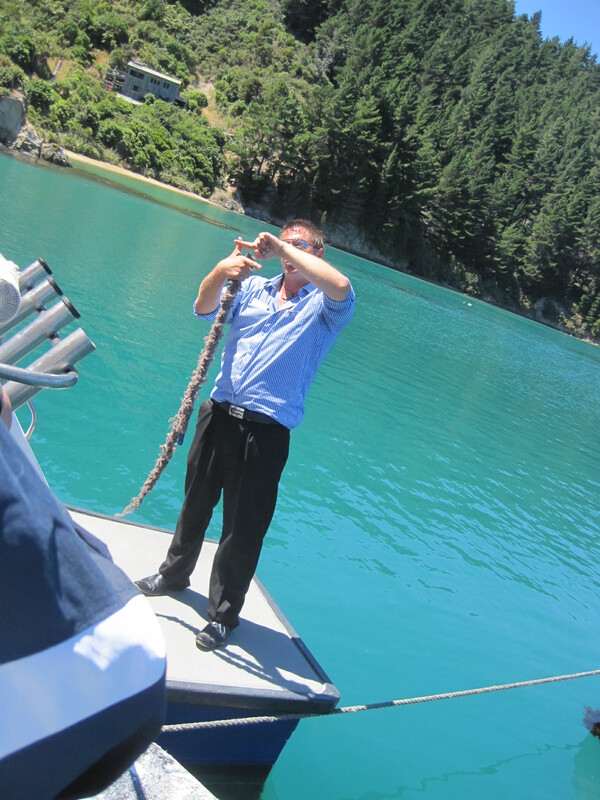 It’s easy: Get on a plane and go there, because New Zealand is the only place in the world where you are likely to get them fresh. Anywhere else, they’ve probably been processed and frozen, because the government is highly protective of the industry and it is illegal to export them live. The packaging sometimes even includes the shell, just to make them appear freshly prepared when they show up in the dining room. Of course, that is not to say that enterprising entrepreneurs elsewhere have not smuggled them out and are happily farming away. So it’s not impossible to find them live, just not likely. 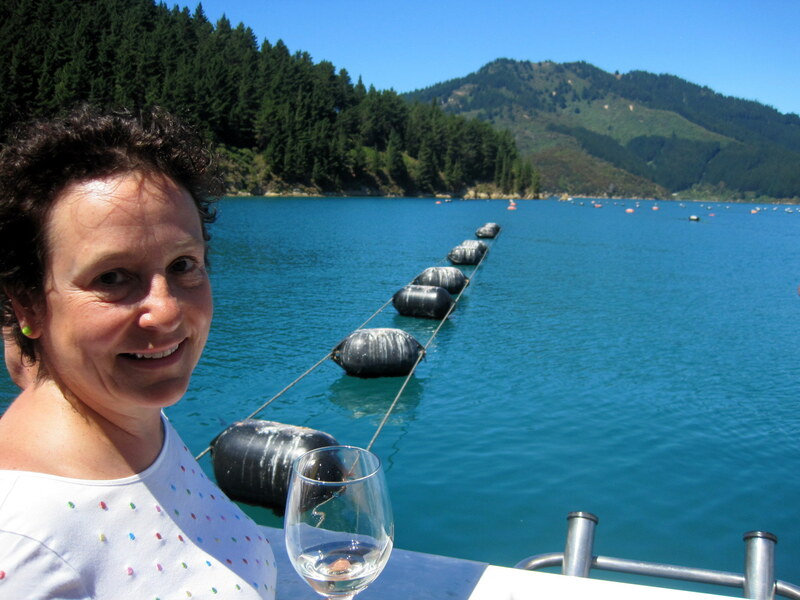 Sitting on a boat in Marlborough Sound, surrounded by a mussel farm, and slurping them hot from the steamer, accompanied by a local Sauvignon Blanc, is a lunch right out of heaven. The bivalves didn’t even need sauce or garnish of any kind, and the rule was to just toss the shell over the side, exactly where it came from in the first place. 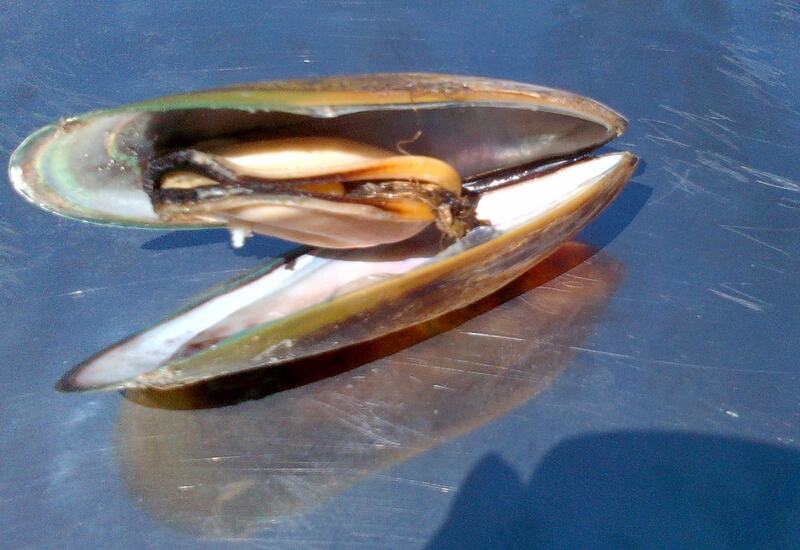 “Greenshell” is a relatively new name for an old shellfish. These delicacies used to be called green lipped mussels, but the Kiwi (New Zealander) marketing people decided that name needed better appetite appeal. As delicious as the greenshell mussels are, they are matched in flavor, if not size, by the farmed black mussels readily available in good fish markets in the United States. 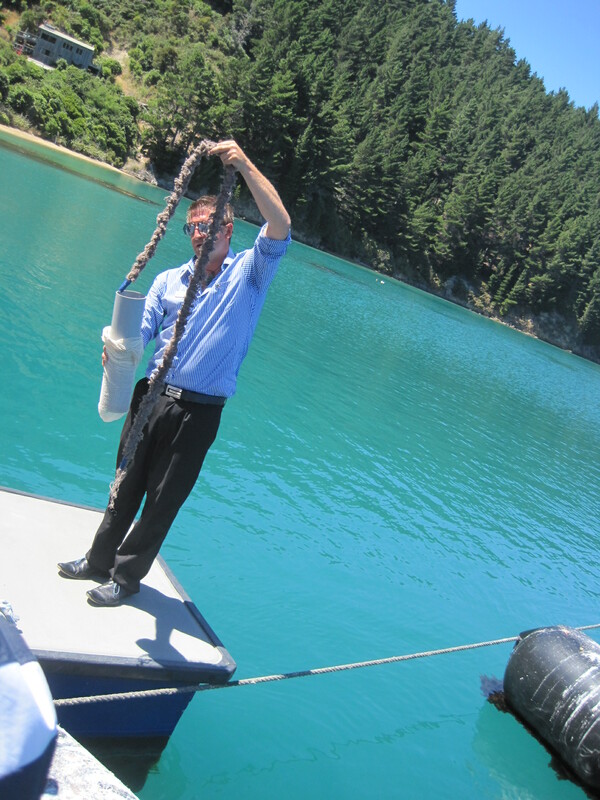 In the old days, before farming, mussels were a lot of work to clean, but the aquaculture techniques used now (in New Zealand and here) eliminate all that. 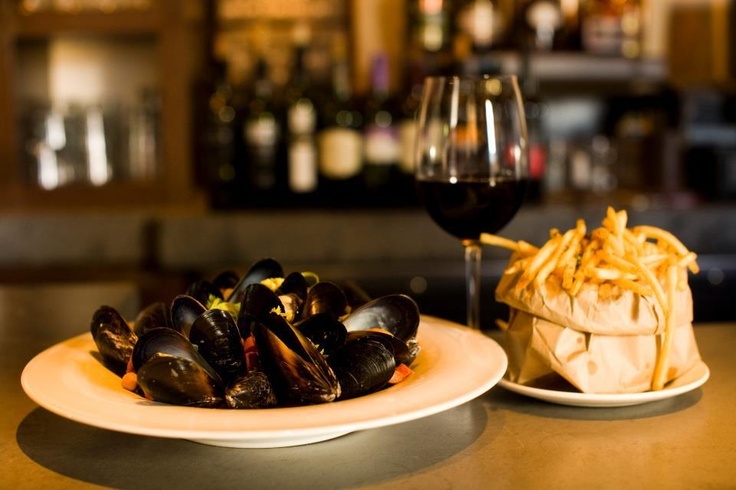 Europeans, particularly in Belgium and France, eat many, many more mussels than Americans do, often paired with French fries, the classic “Moules Frites”. It’s our loss, especially since they are so easy to prepare, not needing much more than steaming in a flavorful broth (white wine and herbs will do it, or find a recipe for something more elaborate). And that broth, infused with the juices from the mussels as they pop open, is delicious, too, perfect for sopping up with a hunk of good French bread. Incidentally, the “proper”, at least French, way to eat them is to use a fork to pull out the first specimen and eat it, then use that shell as pincers to pluck out the rest. 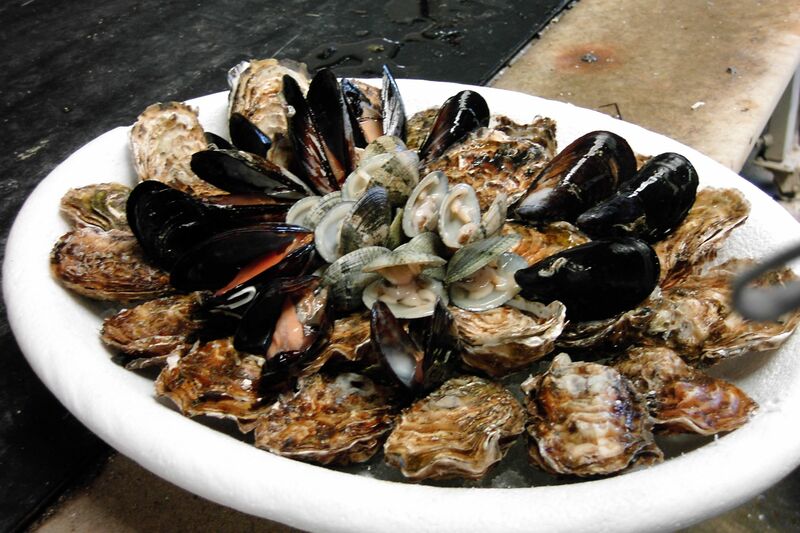 Occasionally, you’ll see raw mussels, for example on a plateau de fruits de mer in France or at a Hawaiian luau. They’re just as safe as a properly handled raw oysters or clams, but myMEGusta prefers them cooked, all a matter of briny taste. 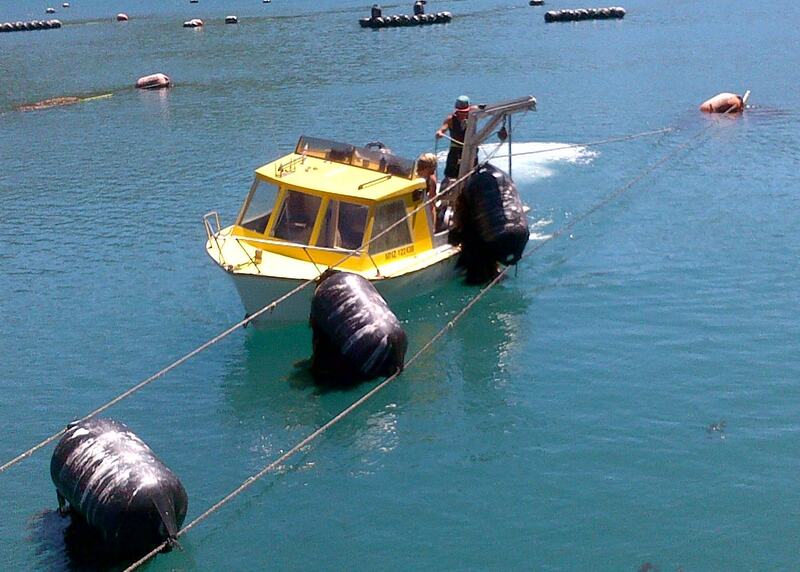 Farmed New Zealand mussels are wonderful not only for their taste but also because they are guaranteed mud free. Before mussel farming became widespread mussels were racked out of the mud. Before cooking they had to be washed thoroughly and then each mussel squeezed sidewise to make sure it was not filled with mud. Obviously if one bad mussel slipped through the whole dish was spoiled. Years ago one signature dish at the St. Regis Hotel in Manhattan was Billi – Bi, a heavenly mussel soup made with dry white wine, heavy cream, herbs and mussels. Too rich for today’s taste.